Hot, bubbly cheddar on top of a bed of perfectly cooked macaroni noodles – mac and cheese is a match made in heaven. The dish has been around since the Victorian era and has no shortage of fans. It’s especially popular on January 20th in the US – National Cheese Lover’s Day. 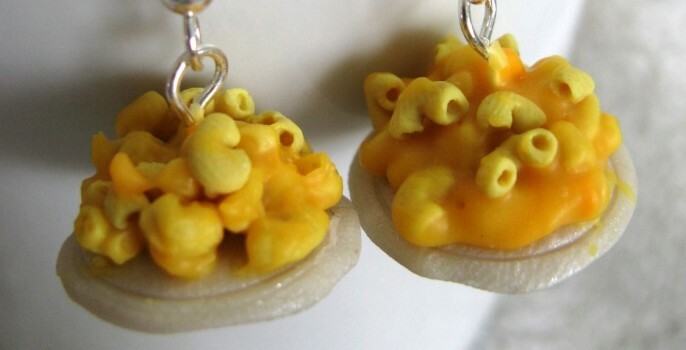 If you can’t get enough of this creamy casserole treat, show your love with some of the handmade mac and cheese items on Etsy – perhaps a pair of mac & cheese earrings from ArtByAshLigon (cover image). If you want mac and cheese in your kitchen all the time – and who doesn’t – the mac & cheese candle from kokocandles is a fun counter decoration. 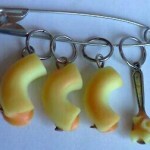 The macaroni is hand-shaped and each noodle is actually hollow. Don’t let the other rooms in your house feel left out, either – the mac & cheese framed print from bishopart is an art installation suitable to hang anywhere. 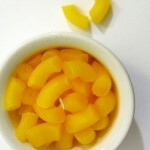 The kids can get in on the fun too with the mac & cheese felt play food from YummyFelts. 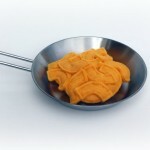 The felt noodles are stitched together securely and ready to throw on a plate! 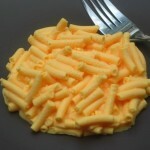 Another treat for kids is the mac & cheese soap from ajsweetsoap – mmm, looks just like Kraft. Imagine the surprised reactions you’ll get the first time you lather up by rubbing mac and cheese between your hands! You’ll curse just to get your mouth washed out with this scrumptious soap. 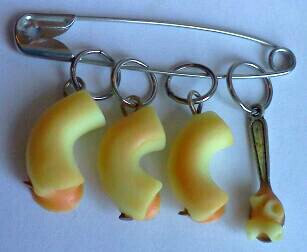 The soap might not be quite as wacky as the mac & cheese stitch markers for knitting and crochet, though. Never lose track of your stitches again with these tasty, hand-sculpted markers. In fact, you’re sure to need them after the orange, gooey cheese oozing out of them makes your stomach grumble. Finally, there’s always the simple and straight-forward way to proclaim your love for this baked sensation – wear the I ♥ mac & cheese button from theangryrobot. 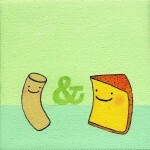 If mac and cheese isn’t your thing, then take a look around on Etsy for your favorite food item. You might be surprised what you’ll find!